That's the end of today's proceedings in the Siambr. Senedd Live will be back on Tuesday 9 May. Finally in the Siambr today is a Short Debate by Hannah Blythyn. The subject: School of Politics - empowering the next generation of active citizens in Wales. The Plaid Cymru motion - including a call on the Welsh Government to scrap zero hours contracts in the social care sector - fails with 12 members for, 35 against. 1. Notes the Welsh Government’s energy policy strategy Energy Wales. 2. Notes the legislative target of reducing greenhouse gas emissions in Wales by at least 80 per cent by 2050. 3. Recognises the planning system provides opportunities to both protect Wales’ unique landscape and also promote opportunities for renewable energy generation. Conservative David Melding says "Wales has the opportunity to be a world leader in renewable technologies. "It's a route to localism and empowerment of local communities". In sub-point 3(a) delete ‘the final’ and replace with ‘a’. Repeal the Climate Change Act? Labour's Huw Irranca-Davies asks "whether it is still UKIP's national position to repeal the Climate Change Act entirely and to ditch decarbonisation targets, because that's not in the spirit of what you have just said?" David Rowlands replies, "absolutely it's not, but we don't come under the whip as all other parties. We can have our own policies within the Welsh Government if that is what we feel we have to do". 1. Directs the Welsh Government to review its energy generation policies and environmental impact policy. 2. Notes that there is an aim of achieving a zero-carbon economy in Wales. ii) encouraging the installation of fuel-efficient boilers. As proceedings resume, the Welsh Government proposes deleting all after point 1. Mark Drakeford says he seeks to align the assembly with something all parties can agree, "that quality local public services are key to the prosperity and wellbeing of our nation". Proceedings are suspended in the Senedd due to "technical problems". Gareth Bennett says UKIP "agree with the broad thrust of the Plaid Cymru motion". He says for the second time today that local people should have a legally binding vote on major planning decisions. Labour's Hefin David says today's motion on zero hours contracts by Plaid Cymru is "designed for Twitter". Regrets that since 2013-14, funding for local authorities in Wales has decreased by 6.78 per cent, disproportionately affecting our rural communities, including cuts of 9.98 per cent to Monmouthshire, 9.36 per cent to Vale of Glamorgan and 7.96 per cent to Conwy. Notes that the Chief Executive salary for Welsh Conservative-led Monmouthshire County Council is one of the lowest in Wales, and commends the transparency of the council in publishing all expenditure. Notes the right of every child and young person to be given the opportunity to realise their full potential, and highlights the importance of direct funding for schools in enabling parents to be able to choose the best school for their children. Notes the value of social care workers in relieving overburdened, centralised NHS services, and the importance of integration between the health and social care sectors in Wales. 1. Believes that quality local public services are key to the prosperity and wellbeing of our nation. 2. Regrets that since 2011-12, funding for local authorities in Wales has decreased by 6.5 per cent, disproportionately affecting some of the weakest and most vulnerable people in communities across Wales. d) delivering social service care that look after the most vulnerable people in communities across Wales. 4. Notes that the average salary for Chief Executives running Plaid Cymru-led Councils is nearly £22,000 less than those run by Labour Councils in Wales. 5. Believes that local affordable housing development projects should be rooted in the needs of the community. 6. Notes the successful child development tracking model, used by Ceredigion Council - the only council judged by Estyn to have excellent performance in Wales in the last full cycle of inspections - to ensure children are reaching their potential, with assistance provided at an early stage to those who are falling behind. 7. Regrets that, since 2012, the percentage total of local government procurement spend in Wales has remained static at just 58 per cent. 8. 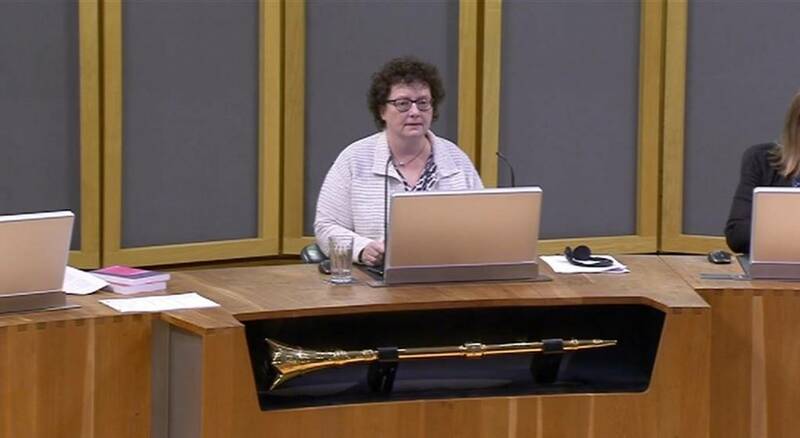 Calls on the Welsh Government to scrap zero hours contracts in the social care sector. The Welsh Government's detailed responses to the report’s recommendations are set out here. Recommendation 6 was rejected by Education Secretary Kirsty Williams because the Welsh Government "does not consider that any benefit would be served in revisiting the impact assessments undertaken in the previous Assembly term in 2014/15". Do more to improve educational outcomes amongst Gypsy, Roma and Traveller learners and minority ethnic groups with lower than average attainment. Now we have the first of this afternoon's debates, which is on the Children, Young People and Education Committee's inquiry into the impact of the Welsh Government’s amalgamation of previously ringfenced grants into the new Education Improvement Grant on Gypsy, Roma and Traveller, and Minority Ethnic children. Between 2013 and 2015, only 15.5% of pupils from Gypsy and Gypsy Roma backgrounds achieved five or more GCSEs at grades A*-C including core subjects - compared to 56% of all pupils. Figures out in January showed that had risen to 24.4%. The second topical question is by Darren Millar (Clwyd West): Will the Cabinet Secretary make a statement into the investigation being undertaken by Betsi Cadwaladr Health Board into reports that the quality of care for dementia patients on the Tawel Fan ward at Glan Clwyd Hospital may have contributed to at least seven deaths? The quality of care on a scandal-hit ward for dementia patients may have contributed to at least seven deaths, BBC Wales revealed yesterday. Tawel Fan ward at Glan Clwyd Hospital, Denbighshire, was closed more than three years ago and a report found some patients were treated like animals. It has emerged that at least seven patients' families were told treatment may have contributed to their deaths. Health Secretary Vaughan Gething reminds members that an investigation was under way. Jeremy Miles (Neath)welcomes the decision to approve the use of Pre-Exposure Prophylaxis in Wales as part of a study. The "game-changing" drug which dramatically cuts the chances of HIV infection will be provided in Wales as part of a three year trial. This is despite the All Wales Medicines Strategy Group (AWMSG) advising the Welsh Government not to fund Prep on cost-effectiveness grounds. Health Secretary Vaughan Gething has announced that during the research period "those for whom the drug is clinically appropriate can access it". The trial will begin this summer. An independent HIV expert group had already called the drug, which has got the go-ahead in Scotland, "highly effective" when used with the right groups and in the right doses. AWMSG had said there were "several uncertainties and limitations" in the economic model provided by the drug company.